BRYAN EATON/Staff photo. 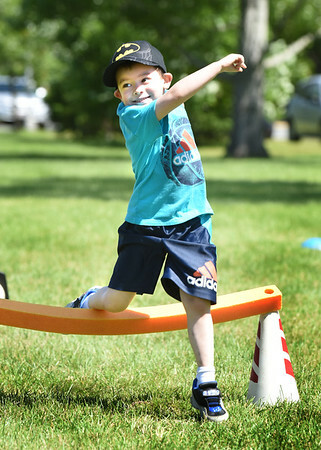 Ben Darsney, 6, hops up as he competes in the hurdle race at Amesbury Elementary School on Thursday. They were having their Field Day.